Then maybe it’s time to consider starting a DreamMaker remodeling franchise. However, there are challenges with working in the remodeling industry.It’s hard to decide if your company should specialize in kitchens, bathrooms, or nothing but counter tops. By design, DreamMaker has created systems and training you need to master bathroom and kitchen remodeling. DreamMaker franchisees also receive systems and vendor partnerships that allow them to profitably provide other interior remodeling services. Are you wondering, how owning a DreamMaker franchise can differ from starting your own remodeling business? 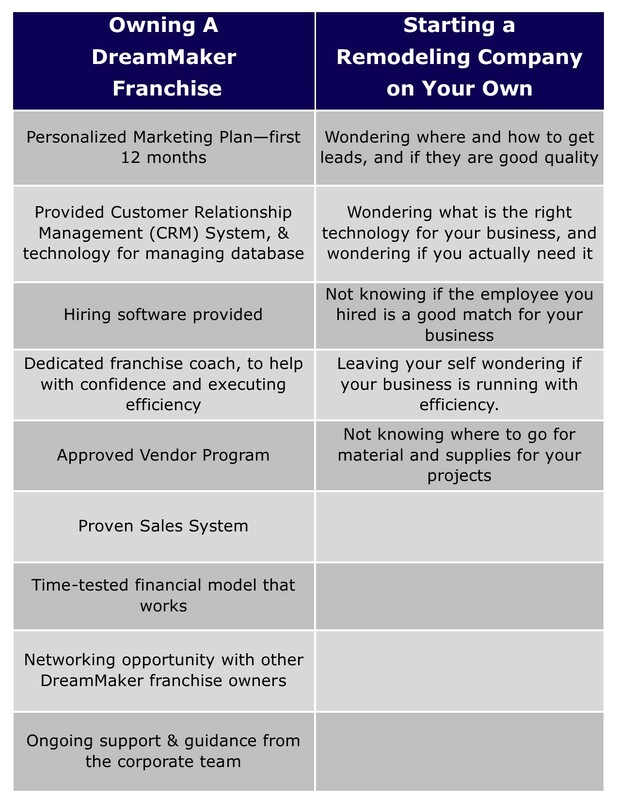 See the comparison below between starting your own remodeling company versus starting a DreamMaker franchise. 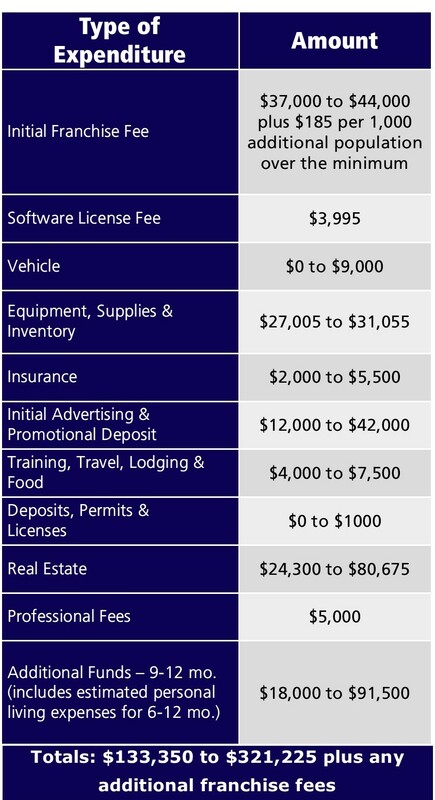 The table from Item 7 of our Franchise Disclosure Document outlines the startup costs for a DreamMaker franchise. The estimated startup costs includes $18,000 to $91,500 that we suggest franchisees reserve for working capital, salary for part-time office manager and personal living expenses during their first six to 12 months in business. Not all franchise systems account for six to 12 months of personal living expenses and working capital expenses during the ramp-up phase when estimating startup costs, but they are important to consider so you’ll be prepared ahead of time to effectively address reasonable cash flow in building your business once it is open. Third-party financing is available so you won’t need to have all of this money up front. What you will need is a net worth of $350,000 to $400,000 and liquid capital (savings and checking accounts, retirement accounts, stocks and bonds, etc.) of $150,000. See the full initial investment breakdown from our 2018 FDD Item 7 table. If you would like to learn more about our Investment Breakdown, fill out the form at the bottom of the page to gain access to our FIC pages. DreamMaker is a proud participant in the International Franchise Association’s VetFran Program, and several of our current franchisees have served in the military. 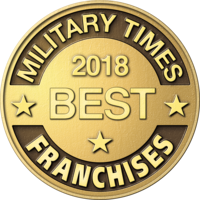 If you are an honorably discharged veteran who meets our qualifications for purchasing a franchise, we will discount the initial franchise fee by $5,000. We understand that you will have questions, and we are happy to answer them — and to get to know you and give you a chance to get to know us! Buying a franchise is a big decision, which is why we want to give you as much information as you need to make the best decision for you and your family.